Kedleston Windows offers high quality, robust aluminium casement windows, sure to make a stunning addition to your Derby home. Our team of professional, expert installers will ensure that your aluminium casement windows are fitted to the highest standard. Here at Kedleston Windows we understand that every home is different, that’s why our aluminium casement windows will be tailored individually to your Derby home. All of our aluminium casement windows are stylish and contemporary, improving the aesthetic of your home as well as the security and energy efficiency. We can design your aluminium casement windows to be fully bespoke to your specifications, ensuring they are highly practical and versatile. Our aluminium windows are suitable for any kind of property in around the Derby area. All of our aluminium casement windows come with a choice of unique opening features, a wide range of RAL colours, and three different Smart aluminium designs. This broad range of choices allows you to find what really works for your needs and your home’s aesthetic. The Evolution range is ideal for listed properties or homes in conservation areas. These aluminium casement windows are thermally broken and make the perfect replacement for traditional steel or timber framed casement windows. Offering your home superb insulations. Another one of our ranges is the Alitherm 300. This range will provide your new aluminium casement windows with slim sightlines to optimise natural light. It also comes with an option for chamfered edges and a square bead, making this window A rated in terms of energy efficiency; one of the best aluminium windows on the market. The final range of aluminium casement windows is the Alitherm 600, which comes with an ornate Ovolo finish to the external edge of the sash and outer frame. This range can be B rated in energy efficiency if you opt for the frame width of 59.5 mm and a depth of 84.5. All of our aluminium casement windows come with A rated glass as standard, as well as thermal reinforcing. Not only this but all of our aluminium frames are thermally broken with a polyamide bridge, giving them a high resistance to heat transfer from the inside to the outside of your Derby property. Thermal breaking also increases both the strength and durability of your windows, meaning they’ll remain secure for many years to come. Featuring the best in EDPM rubber gaskets and weather brushes, you can be sure your new aluminium casement windows will withstand anything the weather throws at them. In addition to this your aluminium casement windows will also come fitted with low maintenance, easy to clean glass, making your life just that little bit easier. With such great energy efficiency your aluminium casement windows will also help in saving you money on your energy bills. When less heat is lost through poorly insulated frames, you pay less for your energy bills. You’ll find yourself using your central heating less than ever before when you have your new Kedleston aluminium casement windows fitted. 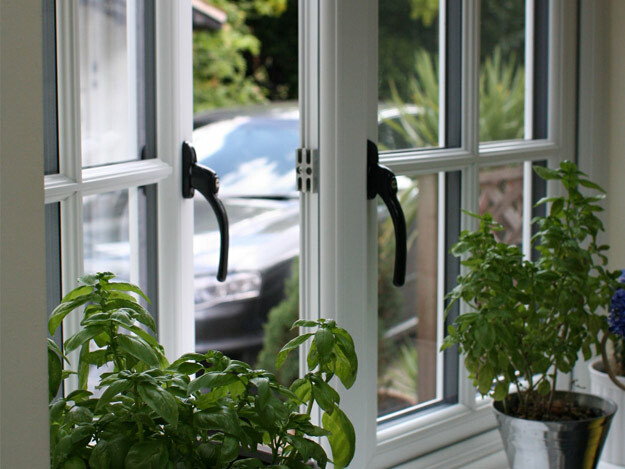 We understand the absolute importance for great security in your home and as such all of our aluminium casement windows are internally glazed, with an option for added security through the use of laminated glass. Our casement windows are compliant with the British Standard Kitemark and are also Secured by Design certified. In order to supply your home with the absolute highest standard in security our aluminium casement windows are also BS7950 and PAS24 accredited. 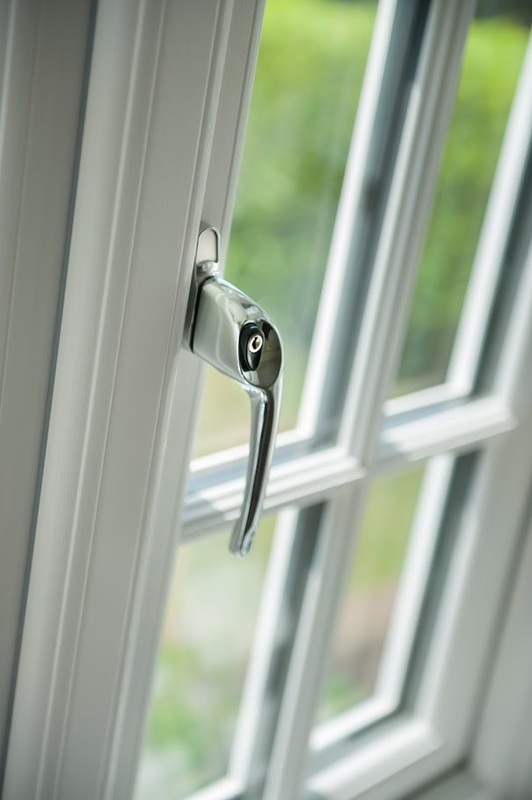 Furthermore, our aluminium casement windows come with key locking handles, with multi-point locking systems and additional security claw locks if you wish. All of these features combine to ensure that you, your property and your possessions are as safe as possible from intruders. Kedleston Windows is one of the leading aluminium window providers in the Derby area. Over a number of years we’ve built a reputation based on our great service and high-quality products. We believe in giving you the very best there is and this is reflected in our numerous accreditations from FENTAS, CERTASS and Stroma. Here at Kedleston Windows we want to give you the best possible service at the best possible price, and so we aim to price our services and products as competitively as possible. To start your quote today head over to our online quoting engine. If you would like to speak to our advisors don’t hesitate to contact us on 01332 737885, or email us on sales@kedlestonwindows.co.uk.